Pietersen axed to save Cook? 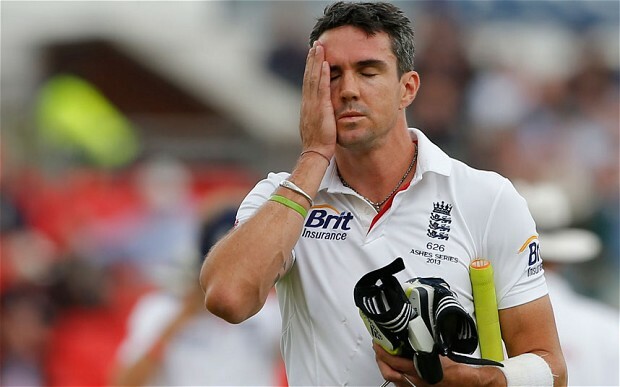 In light of the England cricket team’s dismal showing in Australia last month, on return, one thing has dominated the press – The premature end to Kevin Pietersen’s international career. Much has been made of this saga with near enough everyone having their say, even our very own prime minister couldn’t resist voicing his opinion on the matter. Quite frankly it is a ludicrous decision from an fan’s perspective he is a one in a generation talent with the ability to single-handedly turn a game on its head. Why is it that the ECB (English Cricket Board) have done this? Let’s be honest Pietersen is no stranger to controversy with an ego the size of a small planet he can be a very difficult man to handle but, is this such a bad thing. Throughout all walks of life it is those with that something different, that spark of genius, that make things happen and make a difference. It is also true that they may equally be the masters of their own demise, one only has to look at the countless musical genius’ that have blessed us with sonic perfection to then implode in a drug fuelled ball of excess to see that the fine line between genius and insanity is a very real thing. In regards to KP is this what has happened, have the ECB decided enough is enough they don’t want a Maverick that will not play by the rules and will take risks to win they want an Iceman. Someone that will follow everything to the letter, they want a Cook. I have to be honest I have, up until recently, been a fan of Alistair Cook. Although he possesses no exceptional talents he is a Jack of all trades that can bat for hours on end chipping away and making decent scores for his team, setting it up for the luxury players like Pietersen. That’s great, if a team of KP’s were to play a team of Cook’s I could see the long, drawn out safe, nature of Cook monotonously scoring singles to jab the heavy hitting Pietersen’s to victory but, the Cook that we are used to seeing seemingly vanished during the latest tour. Cook himself has been a terrible run of form more importantly however, he has shown a severe lack of imagination on the field coming up with no plan B to try and save his team from the horror show that was the Ashes tour. Crumbling under the pressure maybe? Cook’s captaincy had been under scrutiny prior to the tour, reaching new heights as we lost each game and one has to wonder if he were to be stripped of this who would of taken his place? Graeme Swann had announced his retirement from international cricket and Jonathon Trott had to leave the tour due to stress, who was left to take over but a South African born man named Kevin. An unorthodox player that could come up with outside of the box ideas to change games more importantly though a man that would voice his opinions even if it meant going against authority. If I were to speculate as to the real reason as to why Cook is still the captain and why Pietersen is no longer a part of the England team it is simple. Cook is a puppet of the ECB, they know that they can make him do what they want, when they want. Pietersen is the complete antithesis of this, he will not simply follow. KP could have been the true leader that a team in shatters needs to rise up to be the best team in the world they once were. Pietersen would have lead from the front as he continues to be the leading run scorer on tours and no matter the bad press he receives, young players have always spoken highly of him, Nick Compton said that during the India tour no one helped him in the nets as much as Pietersen, the quality of a captain? The biggest problem with people like Pietersen has always been how to deal with them during their Prima Donna moments . This is more a reflection on those authority however, those in charge need to learn to better handle these talents and get the best out of them, because to be the best you need the best. Kevin Pietersen is the best batsman England have and unless they start winning and quickly they are set to rue this monumental decision. This Post was posted in Cricket and tagged Cook, Cricket, ECB, England, KP, Pietersen, Sport, Swann, Trott. Bookmark the permalink.